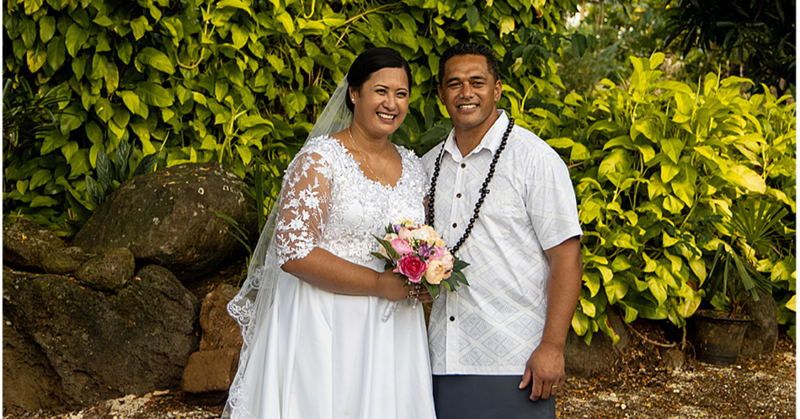 The Deputy Prime Minister, Fiame Naomi Mata’afa, was in Fiji last week. 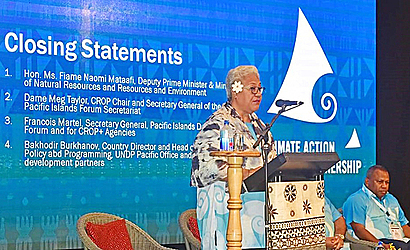 She led Samoa’s delegation to the Second Climate Action Partnership Programme attended by other leaders from Pacific Small Island Developing States. The delegation included the C.E.O. of the Ministry of Natural Resources and Environment, Ulu Bismarck Crawley, and Climate Change Negotiator, Anne Rasmussen. The meeting was an avenue for the leaders to review outcomes of the Climate Change Conference of the Parties (C.O.P.23) in Bonn last year to prepare for the upcoming C.O.P.24 to be held in Poland. In her closing address, Fiame thanked the Pacific countries, the development partners, the regional agencies (C.R.O.P. +) and everyone who contributed to a very successful campaign. She reminded the conference of C.O.P.23 lessons which reassured that impacts of climate change have wider implications, thus the need for responsive and effective interventions for immediate action. Furthermore, Fiame called for sound and focused assessments with relevant regional and national prioritisation modalities to ensure collective ownership by countries that triggers and attract resources for implementation. She reaffirmed that visible and consistent representation is critical at all aspects of the dialogue process ensuring leadership by members with the engagement of C.R.O.P.+ to provide the necessary technical support. “We as a region require being clear of our collective priorities that is shaped and processed through effective mechanisms, procedures and protocols for dialogue and the negotiations process,” she said in the statement. Fiame also congratulated Fiji’s Prime Minister Voreqe Bainimarama and the people of Fiji for a successful chairmanship, the first and monumental “Pacific C.O.P.”. Australia, New Zealand and the territories were also invited and contributed during informal sessions. Fiji holding the Presidency of the C.O.P.23 continues to hold regional dialogue to harness a common coordinated voice to regional priorities endorsed. Leading up to the Leaders Talanoa Dialogue, there was the senior officials meeting, the Pacific National Determined Contribution (N.D.C.) meeting and the Global Employers Climate Action Forum. These sessions were designed and scheduled to inform the Leaders Talanoa Dialogue of “where are we”, “where we are going” and “how we are going to get there”, the statement said. Critical outcomes of C.O.P.23 for the region saw the inclusion of the Gender Action Plan and the Koronivia Initiative for Resilient Agriculture Development, which are milestones to be recognised. In addition, the developments of action of partnership were critical platforms for regional collaboration to sustain collective responsibility to have our priorities heard and acted on. The Pacific N.D.C. 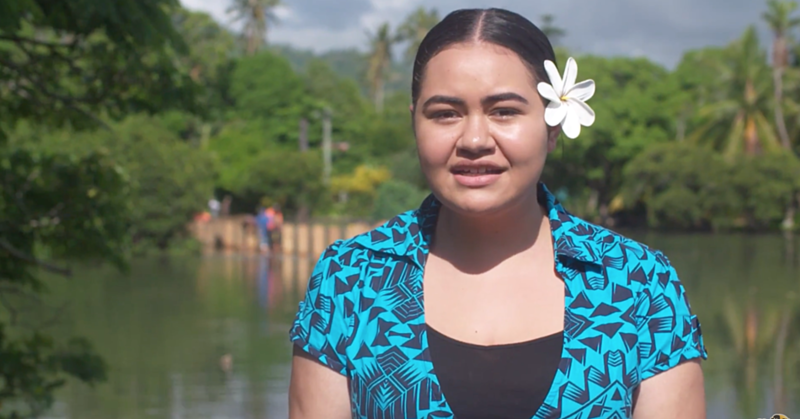 Hub to canvass and harness efforts to meet targets has been established with the offices to be setup with South Pacific Commission in Fiji and South Pacific Regional Environment Programme in Samoa. Critical for C.O.P.24 in Poland, reviews on C.O.P.23 revisited principles of prioritisation regarding regional and national priorities, visible and consistent representation in the dialogue and negotiation process, robust coordination at all levels, regional and national, strategic procedures, protocols and process for engagement. It is envisioned that the C.O.P.24 shall adopt a fair implementation guideline for the Paris Agreement. This shall include a collective push for the endorsement by I.P.C.C. & Parties of the newly released report making the 1.5 degree goal possible, with practical pathways already designed; simplified access to climate finance, technology transfer and capacity building, and accelerating efforts won ocean resilience, loss and damage. However, it requires political will and action by the global community. 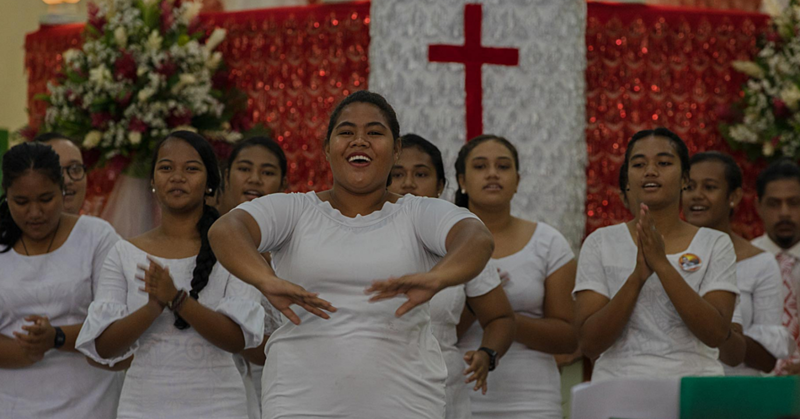 The upcoming Leaders Forum in Nauru next month is seen as an opportunity to reconfirm the collective submissions as a region for the upcoming C.O.P.24. Furthermore, the midterm review of the SAMOA PATHWAY this year in October, in Samoa will be another important avenue for the Pacific Small Island Developing States to harness collaboration from all member countries to advance our priorities.